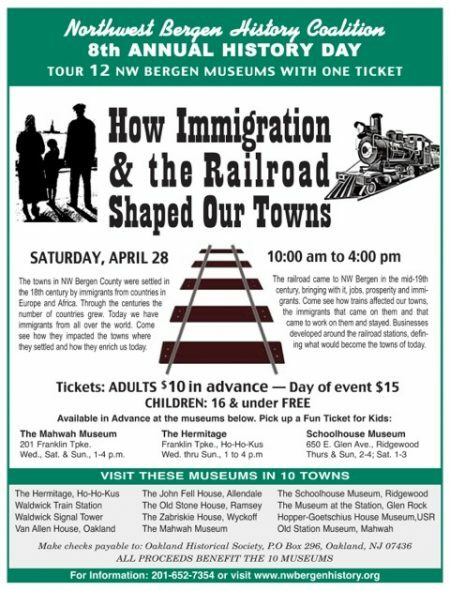 The Northwest Bergen History Coalition is gearing up for History Day 2018 on Saturday, April 28 from 10am to 4pm. Tickets available for advance sale on April 1 are $10, available at The Mahwah Museum, The Hermitage, or the Schoolhouse Museum. Tickets purchased at any of the museums on April 28 will be $15. This one ticket will allow entrance into 12 museums.